“Picture of Light” is a mesmerizing tale about a filmmaker’s journey to Canada’s arctic in search of one of Earth’s greatest natural wonders: the Aurora Borealis, also known as the Northern Lights. 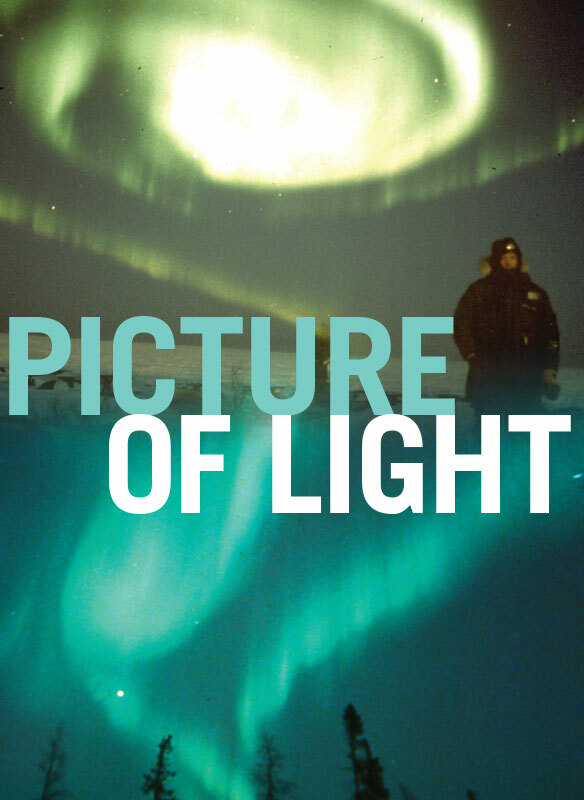 While combining glimpses of the characters that live in this remote environment with the film crew’s comic and absurd attempts to deal with the extreme cold, he film reveals the paradoxes involved in trying to capture the spectacular light show of the Northern Lights on celluloid. Exploring the tension between nature and technology and between science and myth, Peter Mettler’s documentary reflects on our desire to capture the wonders of the world on camera, revealing how our increasingly connected world threatens to render obsolete our individual and authentic experiences.